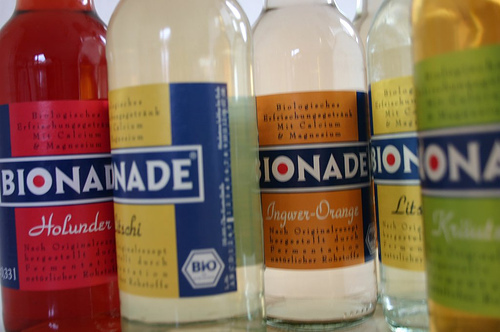 The German soft drink Bionade is taking the world by storm. I'm not joking. 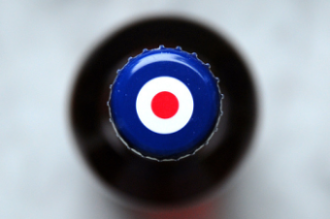 Sales started in 1995 and by 2003 they had sold 2 million bottles. They sold 7 million bottles in 2004, 22 million bottles in 2005, and 70 million bottles in 2006. 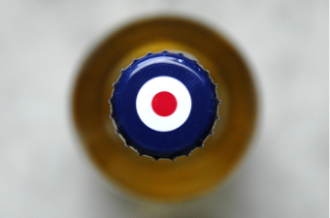 2007 sales were well over 200 million bottles. They are posting 300%+ growth year over year and are the #3 soft drink in Germany after the "Big C" and the "Big P" - the Bionade team is showing up at all the industry trade shows now, and there is even a Bionade Flickr pool; but the question remains, what is Bionade? "In order to produce a non-alcoholic refreshment drink in a purely organic way, “Mother Nature” has to be out-smarted through her own mechanisms. Under purely natural conditions, alcohol is usually generated during the process of fermentation when sugar is present. It was only after a long period of research and development that BIONADE’s inventor, the master brewer Dieter Leipold, was successful in converting sugar into gluconic acid during fermentation according to brewing principles. An analogous process can be found in the production of honey by bees. Glucose-oxidase, an enzyme found in bee saliva, plays a central role. The ultimate kernel of the innovation lies in the HOW of the procedure. That is and will remain the secret of BIONADE." What makes it fresh, new, and unique is like it's an adult soda. With only 17 grams of sugar per bottle (never mind that it's only an 11.16oz. bottle), Bionade contains less than half the sugar of Coca-Cola (39 grams) and Pepsi (41 grams). That's only about 65 calories. It also comes in different flavors [that are so European] like Elderberry, Lychee, Herbs, and Ginger-Orange. Yes, Bionade is organic too. Upon tasting Bionade, you'll notice immediately that despite its relative lack of sugar, there is still a distinct sweetness to it. It is still refreshing and satisfying, but not cloying like soda - which can sometimes even make my teeth hurt. The Herbs flavor is my favorite. I also like the different flavors which give Bionade a definitive "adult" taste. So the story goes: The Peter Brewery in northern Bavaria was going out of business. During the eighties, they even opened up the place from 9pm to 5am as a disco nightclub to pay the bills. Master brewer Dieter Leipold kept searching for something fresh, something new and unique. It took eight years to develop, but the inventor finally perfected his recipe for a barley-based, alcohol-free soft drink. Lime-eighths, with the brown sugar into the glass and crush with a mortar. Crushed ice to give and with elderberry Bionade thoroughly. Mix, ready! In any case, I enjoyed my Bionade sampler but I'm not yet ready to go ahead and think it is good for me. Just because it contains gluconic acid, magnesium, and calcium doesn't make it a performance enhancer. I'm going to keep it in the "dry soda" category for now - until there's some hard evidence that it can make me run faster, become better looking, more witty, and/or able to eat 6 Saltine crackers in 60 seconds. Newer:A Modern Beer OdysseyOlder:A Cure for America's Obesity Problem?